Description: SSC announced an additional result for Stenographer Grade ‘C’ & ‘D’ exam 2017. 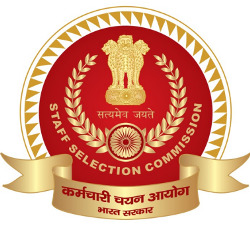 Staff Selection Commission - SSC published revised result / Additional List of candidates qualified in Skill Test for Stenographer Grade ‘C’ & ‘D’ exam 2017. The Commission declared the result of the Skill Test of Stenographer Grade ‘C’ & ‘D’ Examination, 2017 on 28.11.2018 & 10.12.2018. The Commission has undertaken a detailed and comprehensive review of the Skill Test evaluation. Based on this comprehensive review, 16 additional candidates have qualified in Skill Test for Stenographer Grade ‘C’ and 74 additional candidates have qualified in Skill Test for Stenographer Grade ‘D’. Note: The Document Verification for the shortlisted additional candidates will be held by the Regional Offices on 23-3-2019 and 24-3-2019. For detailed schedule of Document Verification and downloading of Admit Cards, the candidates should visit the website(s) of the concerned Regional Offices.